The Tony Awards are this Sunday June 12th. I will be "toasting" Hamilton and Lin-Manuel with some Avocado Hamil-toast. 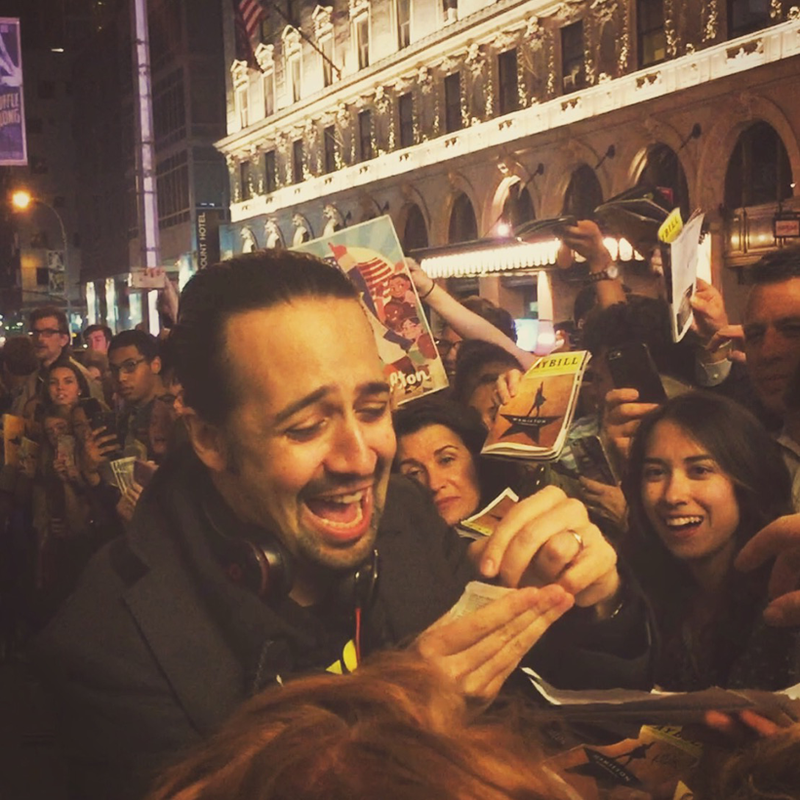 Hamilton has 16 Tony Award nominations. 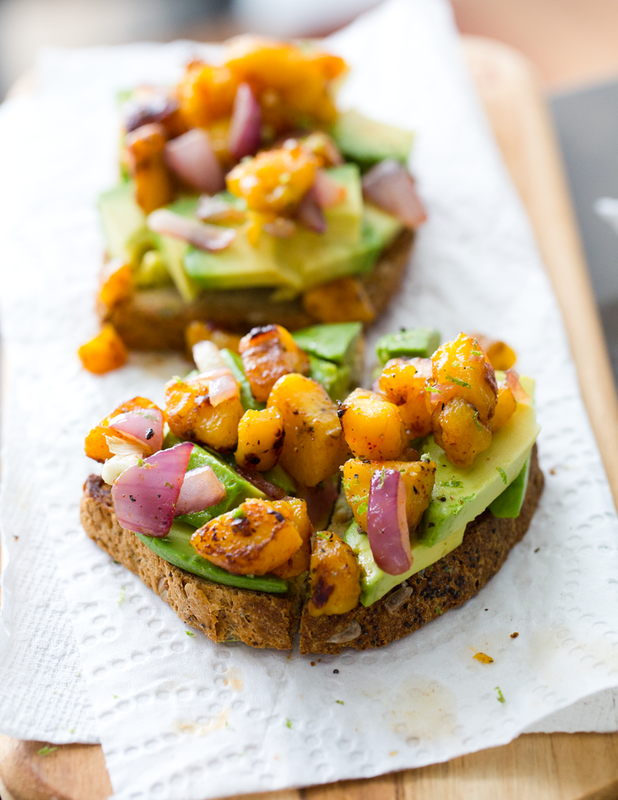 This toast is super satisfying and flavorful. 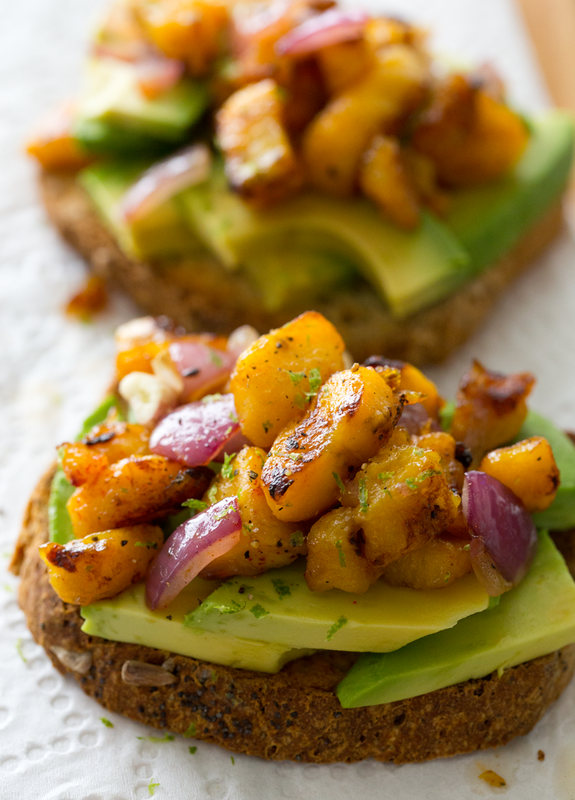 Buttery avocados top warm toast and then on top, sticky-sweet warm skillet plantains with lime and garlic.. 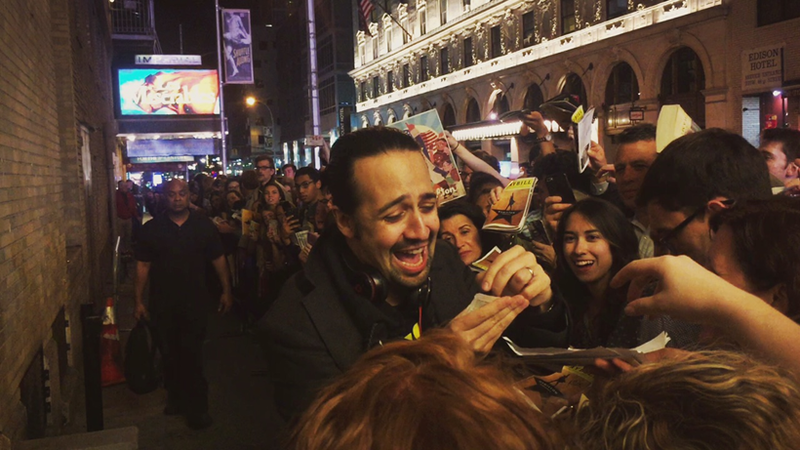 I hope Lin-Manuel would approve..
*my pic from my stage door experience after the Hamilton show. More pics at bottom. 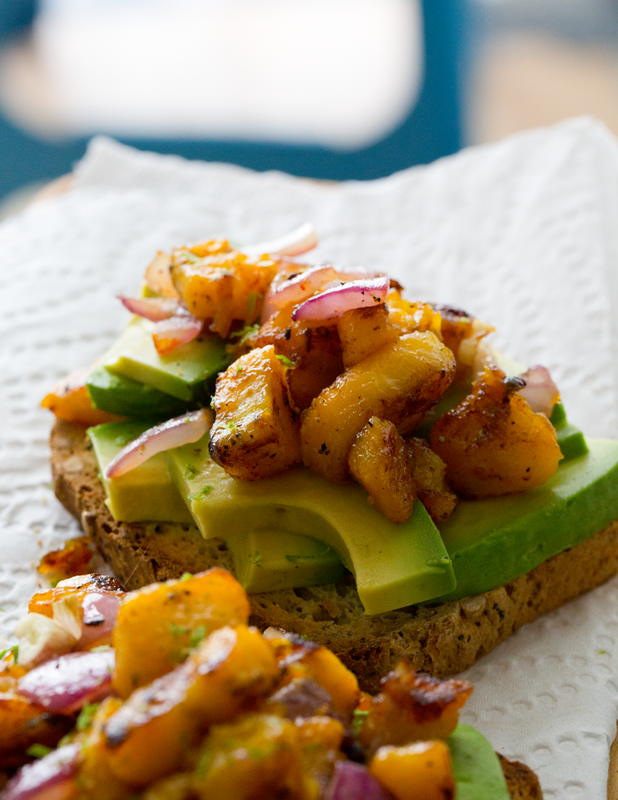 So why is this plantain-topped dish called Alexander Hamil-toast?? 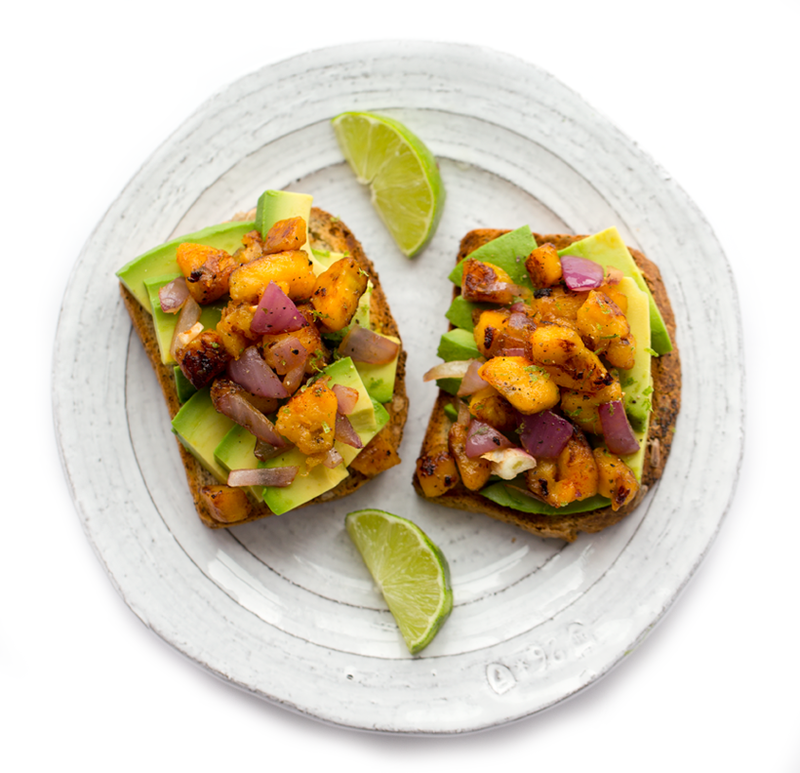 Avocado Hamil-toast with plantains is inspired by Lin-Manuel's Puerto Rican heritage. Miranda's parents are Puerto Rican. And this all worked out since I just happen to have a pile of plantains in my fruit bowl because I loooooove them. Fellow Hamilton fan? 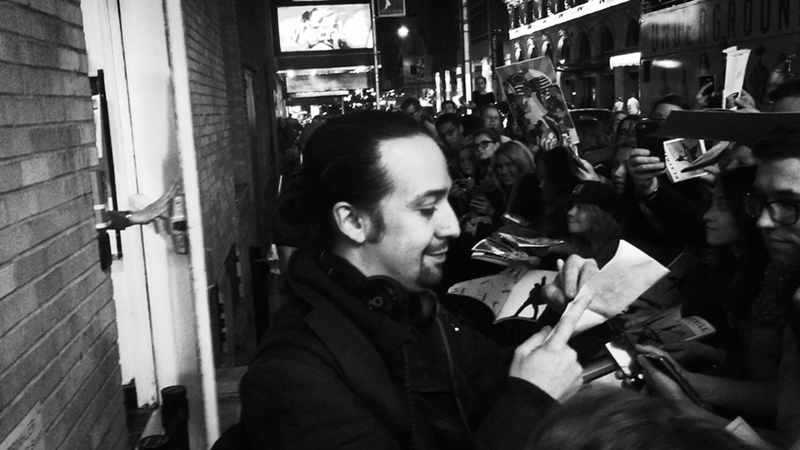 Get loads of my Hamilton stage door pics at the bottom! 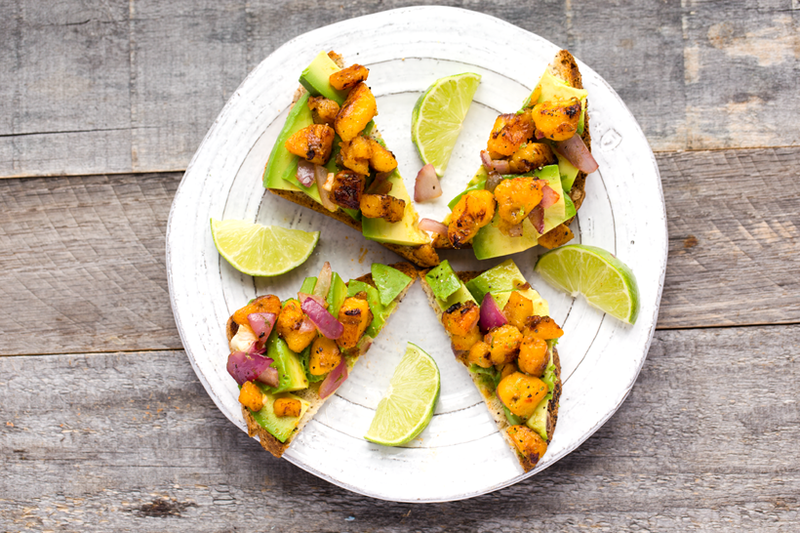 Avocado Toast with warm, sticky-sweet skillet plantains with garlic and red onion. Lime and smoked paprika to accent. Warm the extra virgin olive oil in a skillet over high heat. 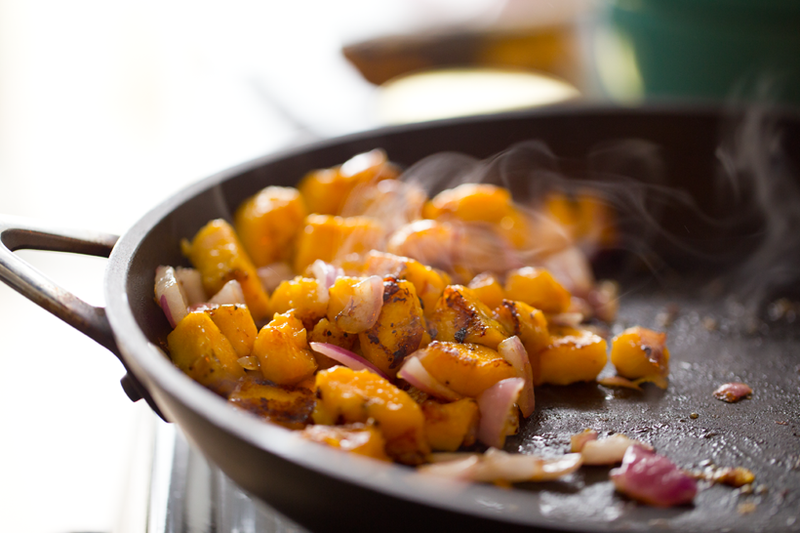 When oil is hot, add the plantains and toss well. Cook 2-3 minutes, then add the garlic and onion. Cook another 1-2 minutes to lightly caramelize the onion. Optional: to add a bolder sweetness, drizzle one teaspoon maple syrup over top. 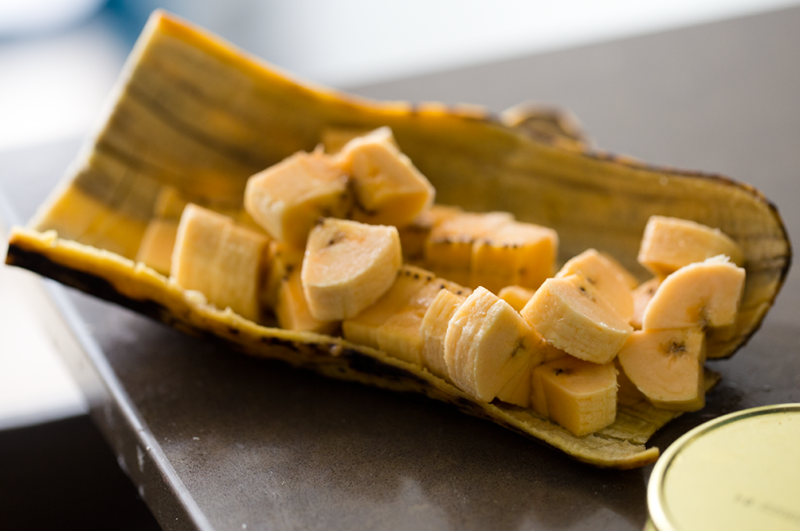 Turn off heat and let plantains cool for a minute before using. 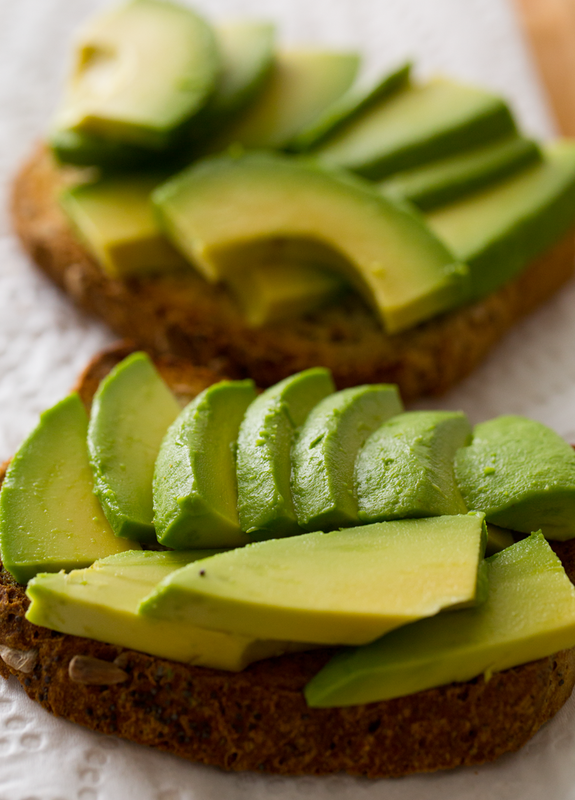 Toast bread and add avocado - either mashed or sliced. Add the plantain mixture over top the avocado. Squeeze lime over top. Optional: add lime zest over top. Add salt, pepper and smoky paprika to taste. Slice and serve. Let my Hamilton fan-girling commence.. So when I found out I was going to see Hamilton on Broadway, I felt like this.. 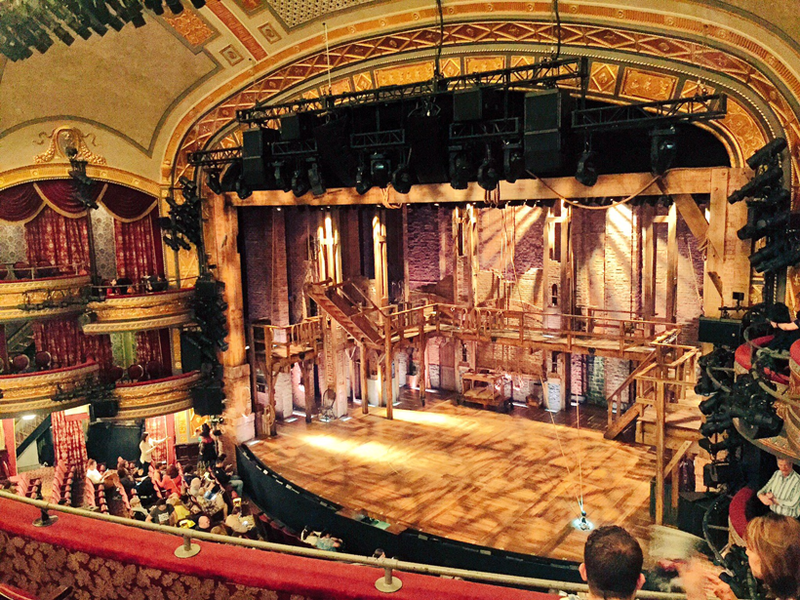 Watching Hamilton live was amazing. I felt like I was in a dream the whole time since I pretty much had the entire album memorized from listening to it so much. That was a little odd. To be seeing a show I already knew so well. But luckily, it just took everything in my head, all those songs, to a new visual-superstar experience. The emotional pull from each scene, created by the cast and the gorgeous weightless-feeling choreography and modern-meets-classic costumes, well it was all perfect. 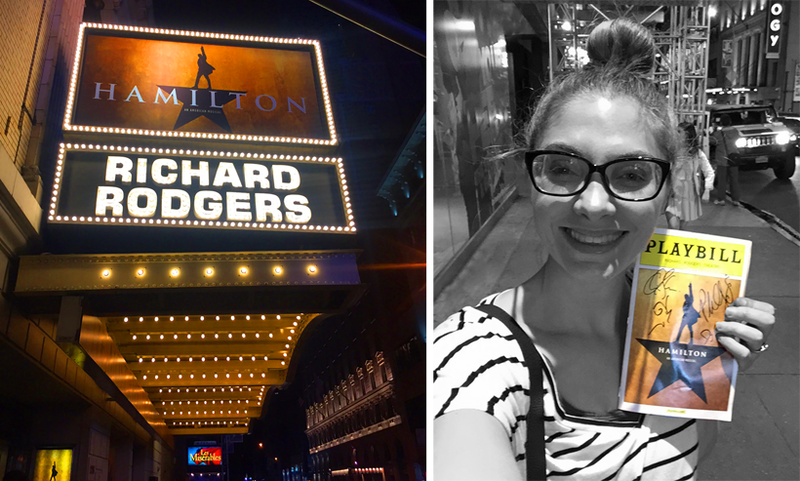 It was the most energy-filled, emotional and interactive theater experience I have ever had. And besides Lin being amazing, the other cast members were incredible. I mean the talent and charisma in this cast is diverse and remarkable in so many ways. Leslie Odom Jr who plays Aaron Burr blew me away -- and I really hope he wins a Tony Award tomorrow night for best actor -- and Lin can win like everything else. After theater shows, I love doing stage door - if I have time and energy to hang around. 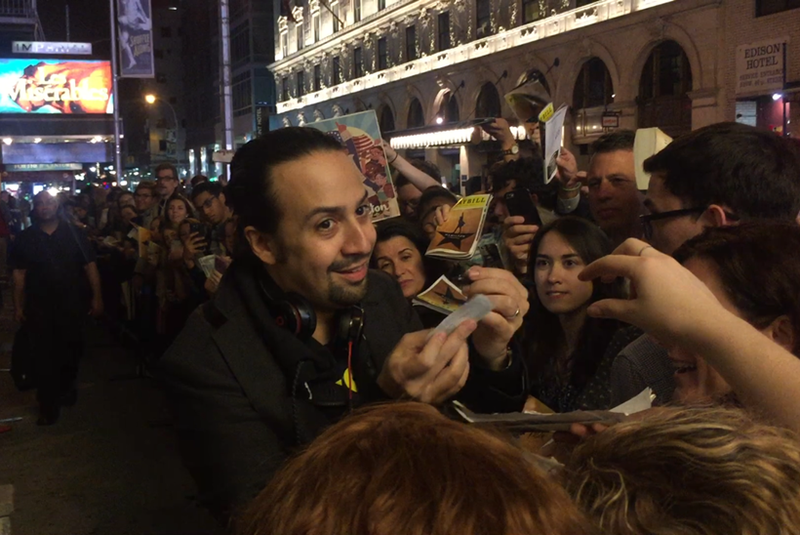 It was a madhouse of fans holding Playbills and Hamilton books, awaiting signatures. Four stars came out that night, including Lin! And being face to face with the show's creator and main actor, Lin-Manuel Miranda was incredible. 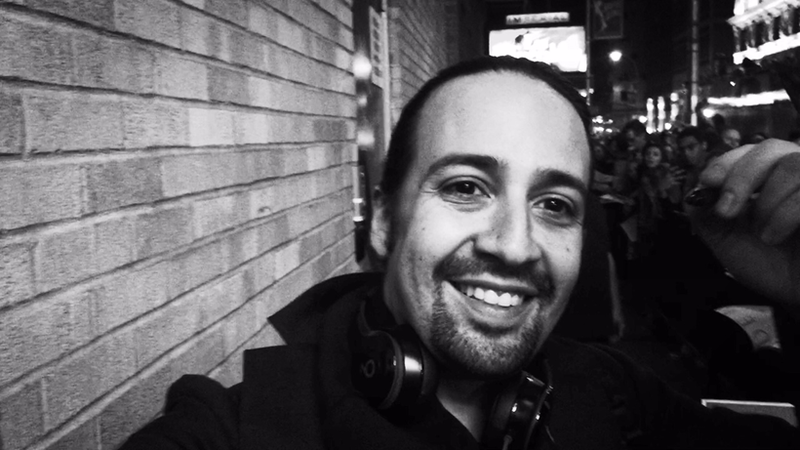 And do yourself a favor a follow Lin on Twitter. 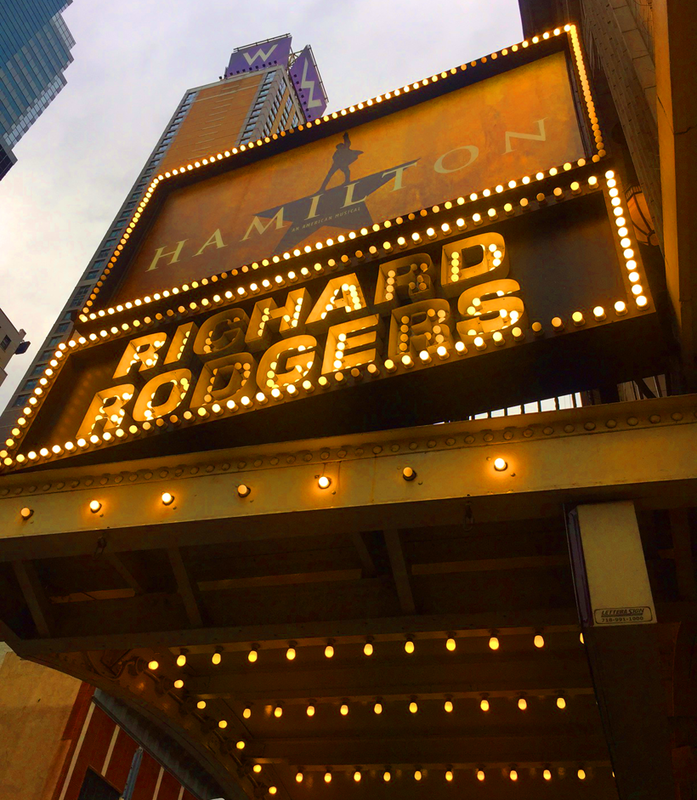 And you can enter to win some Hamilton tickets all while supporting a super cause, over on PRIZEO.. 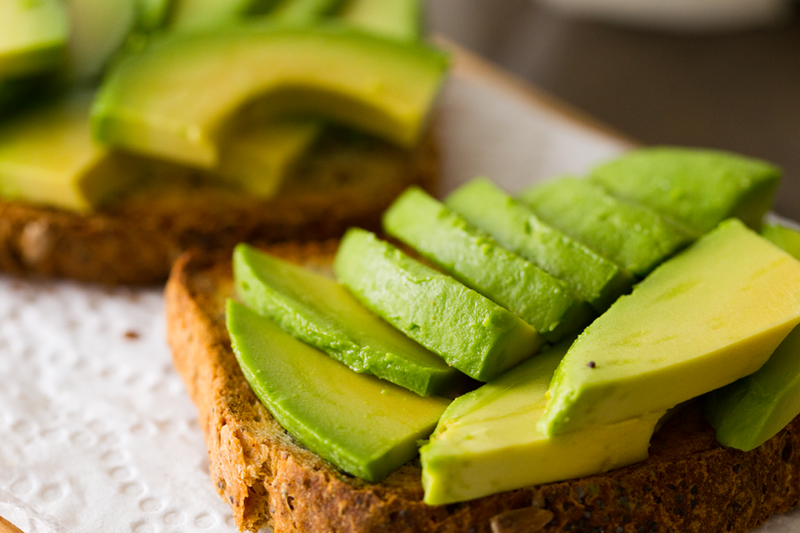 Here are some of my pics..
My video of the stage door madness..
Toast the Tony's with this Avocado Hamiltoast!.. Enjoy the Tony Awards and this Hamil-toast :) IF you are a fan of Hamilton, leave me a comment about that so we can rave together. 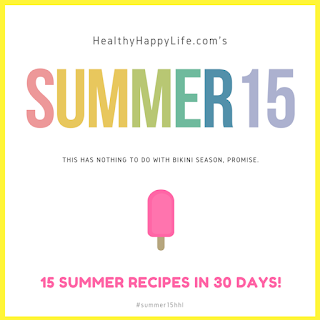 This is recipe #6 in the summer 15..